After four highly competitive games across different venues, the stage is set for a fifth and final instalment of the clash between hosts South Africa and Pakistan with the stakes as high as ever with the series on the line. Down and out after rain denied them an opportunity to defend a good score, Pakistan bounced back brilliantly to level the series. With Cape Town staging this final ODI encounter, spin is sure to play a major part in this match which would give either side bragging rights over the other with a question of doubt. Faf du Plessis(C), Hashim Amla, Reeza Hendricks, Imran Tahir, Quinton de Kock, Aiden Markram, David Miller, Beuran Hendricks, Dale Steyn, Andile Phehlukwayo, Dwaine Pretorius, Kagiso Rabada, Tabraiz Shamsi, Rassie van der Dussen. After an off day with the bat, South Africa will be hoping for better performances from proven performers such as Quinton de Kock and Faf du Plessis. The only player to have not featured in the series is Aiden Markram and could be given go instead of Hashim Amla, who could use a little rest after a hectic few months. Tabraiz Shamsi could play instead of Beuran Hendricks considering the fact that India's spin twins, Kuldeep and Chahal took eight wickets between in the last ODI played in Cape Town. Possible XI: Amla/Markram, De Kock(WK), Hendricks, Faf, Dussen, Miller, Phehlukwayo, Steyn, Rabada and Shamsi. After an astounding win in the Pink ODI, Pakistan will be tempted to field the same side with Shoaib Malik leading the side in the absence of regular captain, Sarfraz Ahmed. Usman Khan and Mohammed Amir should play the last one-dayer. Shaheen Afridi could be left out for Hasan Ali as per the rotation policy. Possible XI: Imam, Zaman, Babar, Shoaib(C), Hafeez, Rizwan(WK), Wasim, Shadab, Usman, Aamir and Afridi/Hasan Ali. Wicket-keeper: Quinton de Kock is due for a big score and considering his batting position as well, he should be the ideal candidate to choose. Rizwan is slated to bat at number six and with the prospect of Shadab and Wasim being promoted in certain situations, he isn't a viable option. Batsmen: Faf du Plessis and Babar Azam are very dependable players and are must-haves in your fantasy sides. While Zaman seemed to be back amongst the runs, he could be a useful option alongside the likes of Imam Ul Haq, Reeza Hendricks and David Miller. All-rounders: Andile Phehlukwayo has exceeded expectations with the ball. With his batting ability just as good, he should be drafted into the side along with either of Imad Wasim or veteran Mohammed Hafeez. Bowlers: Kagiso Rabada hasn't been at his best so far with only glimpses of his ability on show for the audience. He is a big match player and could be depended on along with Shadab Khan and Usman Khan. Either of Dale Steyn or Imran Tahir could also be viable picks. Captain: Faf du Plessis has looked at his best but hasn't been able to convert his starts into a big one. With the stage set for critical performance, many would be backing Faf to replicate his performance against Australia in a series decider in late 2018. Babar Azam and Quinton de Kock are also good options to choose, thanks to their ability to play spin and pace equally well. 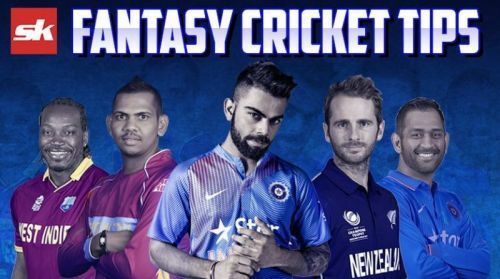 Fantasy Suggestion #1: Quinton de Kock (WK), Babar Azam, Faf du Plessis, Fakhar Zaman, Reeza Hendricks, Imad Wasim, Andile Phehlukwayo, Kagiso Rabada, Imran Tahir, Shaheen Afridi and Shadab Khan. Captain: Faf du Plessis. Fantasy Suggestion #2: Quinton de Kock (WK), Imam Ul Haq, David Miller, Faf du Plessis, Babar Azam, Andile Phehlukwayo, Mohammed Hafeez, Kagiso Rabada, Usman Khan, Shadab Khan and Dale Steyn. Captain: Quinton de Kock. Follow Sportskeeda for all the updates on Cricket news, IPL schedule, points table, live scores, fantasy cricket tips and stats.